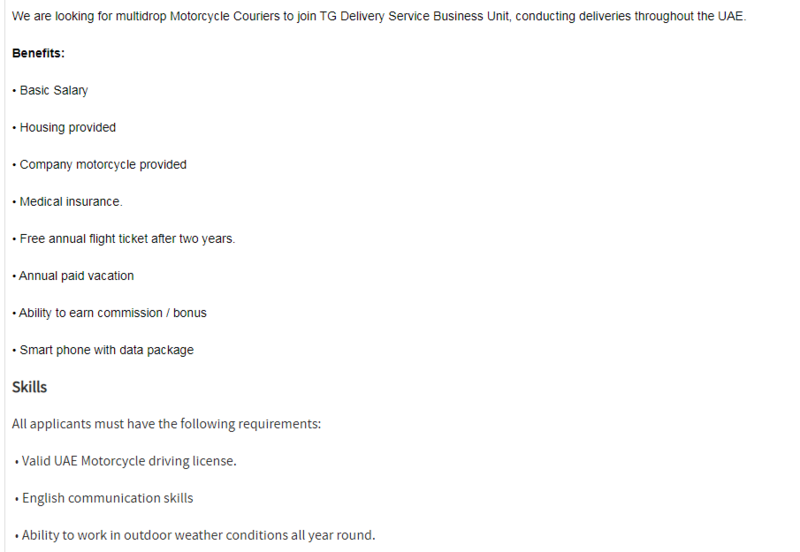 Motor Bike Driver Job is available with Emirates Transguard Group in United Arab Emirates. It is a Other Unskilled to Skilled Worker level role. This applicant should be qualified for this position. This job will expire on 27 September 2018.